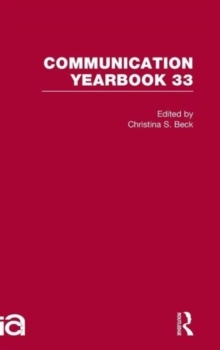 The Communication Yearbook annuals publish diverse, state-of-the-discipline literature reviews across the field of communication. Sponsored by the International Communication Association, volumes offer insightful descriptions of research as well as reflections on the implications of those findings for other areas of the discipline. Editor Christina S. Beck presents a diverse, international selection of articles that highlight empirical and theoretical intersections in the communication discipline.